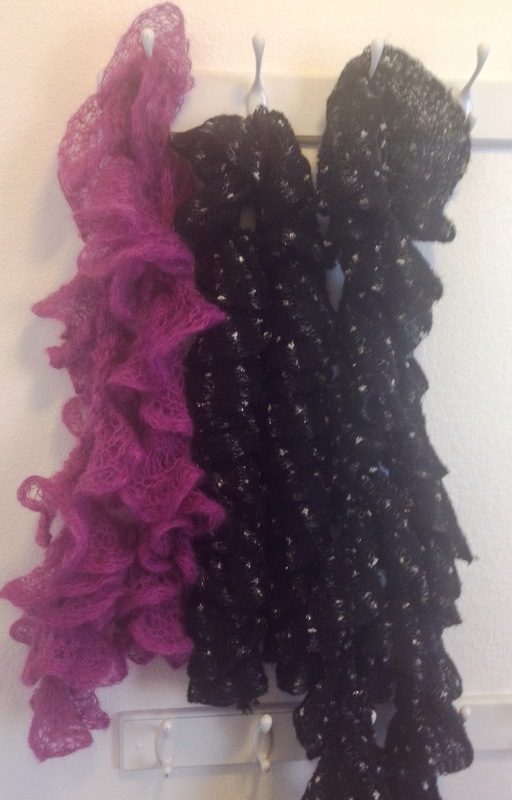 I have a bunch of ruffle yarn that I ordered before Christmas. Some of it I made into scarves but not most. I tried to knit another scarf yesterday and I realized why... I hate knitting with this stuff... I am always untwisting it or looking for another hole. It might be faster but when you dislike doing it, the whole process slows down. I have been searching for the Unspun cotton I know I had sitting around and I still have not found it. But I did find a couple of ounces of a yak and silk blend. It is sooooo soft and a lovely grey color. I don't think it was really expensive...in fact I think it was less than 5$ an ounce and maybe less than 4$ an ounce. 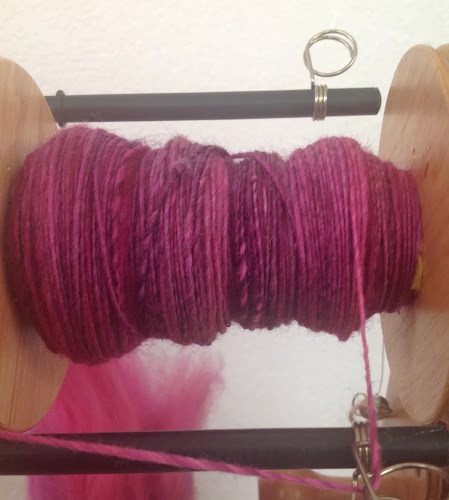 One time it is cheaper to spin the yarn than buy it. I have found yak blend yarns costing well over 30$ a skein and they do not have as much softness as this. I have been spinning some lovely merino. I am going to make my first three ply. I know it needs more twist in the singles than a two ply. Once I have three bobbins I will do a sample and I figure I can always add more twist by running the singles through my wheel again.